Washington’s attack on world soccer is following the script of Washington’s attack on the Russian-hosted Sochi Olympics. The difference is that Washington couldn’t stop the Olympics from being held in Sochi, and was limited to scaring off Westerners with lies and propaganda. In the current scandal orchestrated by Washington, Washington intends to use its takeover of FIFA to renege on FIFA’s decision that Russia host the next World Cup. This is part of Washington’s agenda of isolating Russia from the World. This Washington-orchestrated scandal stinks to high heaven. 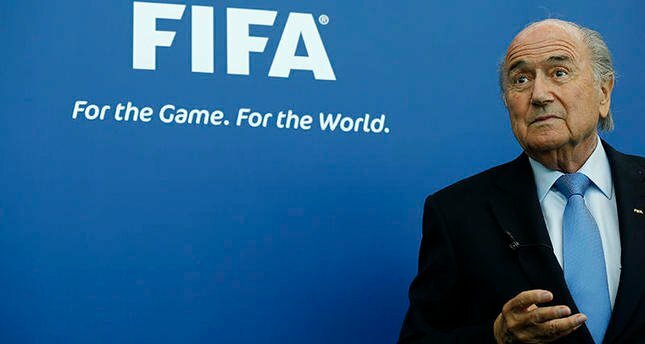 It seems obvious that the FIFA officials have been arrested for political reasons and that the recently overwhelmingly-reelected FIFA president, Sepp Blatter, was forced to resign by Washington’s threats to indict him as well. This can happen because Washington no longer is subject to the rule of law. In Washington’s hands, law is a weapon that is used against everyone, every organization, and every country that takes a position independent of Washington. This clears the deck for Washington and its British lapdog to take over FIFA, which henceforth will be used to reward countries that comply with Washington’s foreign policy and to punish those who pursue an independent foreign policy. The only hope for South America, Asia, and Russia is to form their own World Cup and turn their backs on the corrupt West. It is astonishing that Russia, Asia, and South America so much desire to be part of the corrupt and immoral Western world. Why do countries wish to be associated with evil? Venezuela, Ecuador, Bolivia, and perhaps Argentina and Brazil have learned that being in the Western orbit means putting their country under Washington’s control. Putin, Lavrov, and China’s leaders say that being associated with the West is like being associated with the plague. Yet they still want to be associated with the West. Why do Russia and China think that their self-esteem depends on Washington’s approval? FIFA is a Swiss-based organization. Yet the arrests of FIFA officials is based on a Washington-initiated “investigation” by the FBI. By asserting the universality of US law, Washington is asserting the authority of its police and prosecutors over sovereign countries. Why did Switzerland, and why do other countries lay down in obedience to Washington’s assertion of the universality of its laws? Are the political leaders paid off or are they threatened with assassination or false indictments? What explains that of all countries on earth only Washington’s law is universal, acknowledged and bowed down before in other countries? Is if fear of retribution? Possibly, but one answer is that the entire point of being a leader of a foreign country is to be made rich by kowtowing to Washington. One year out of office and Tony Blair was reported to be worth $50 million. Where did the money come from? No one wanted to listen to Blair’s speeches when he was Prime Minister. Why did Americans pay him six-figure sums to give speeches? Putin can become rich, too. All he needs to do is to turn Russia over to Washington. Here we are in an orchestrated soccer scandal hyped to the hilt by the presstitute media while all the real scandals go unremarked. For example, a number of the mega-banks in the West have pleaded guilty to felony charges and only suffered fines. As Finian Cunningham has pointed out, the money laundering and price-rigging by the “banks too big to jail” dwarfs the alleged criminality at FIFA. The Securities and Exchange Commission actually issues waivers to the banks for their criminal activity. One dissenting SEC commissioner accuses her colleagues of encouraging “recidivism” by the constant issue of waivers. Washington itself cannot be believed as not a single significant statement out of Washington’s mouth since the Clinton regime has been true; yet, Washington still parades around as the arbiter of truth. Saddam Hussein did not have weapons of mass destruction. Assad did not use chemical weapons. Iran did not have a nuclear weapons program. Russia did not invade Ukraine. But Washington convinced the world that its lies were true. It is almost a certainty that politicians up in arms over unsubstantiated charges that FIFA took bribes have themselves taken bribes. Just look at the bribes given to Congress by corporations to vote fast track for TTIP. Can anyone name even one leader of one EU country (other perhaps than Greece at the moment) who doesn’t take bribes from Washington? According to Udo Ulfkotte, no one can name even one British or EU newspaper that doesn’t take bribes from the CIA. How many UN votes are determined by Washington’s threats and bribes? Whether or not FIFA decisions are tainted by bribery, the purpose of the “investigation” is to cast doubt on the decision to hold the World Cup in Russia. 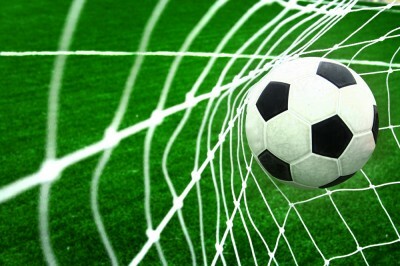 The World Cup is a global spectacle and conveys prestige on the host country. Washington intends to deny this prestige to Russia. That is what the “investigation” is about.